Decks are very popular in our area, and they come in all shapes and sizes. These freestanding outdoor additions are an extension of your home and can provide your family with many hours of summer enjoyment. When your deck becomes dirty, it’s time to call in the Deck Power Washing professionals at Cavalier Window Cleaning & Power Washing. Whether you call it a deck, patio, or backyard porch, it won’t look its best until you call us. Don’t let a dirty deck ruin your family’s summer fun! After a long hard winter, homeowners start to prepare their outdoors for the spring. This includes picking up all debris that’s left behind in the yard such as branches and roofing shingles. 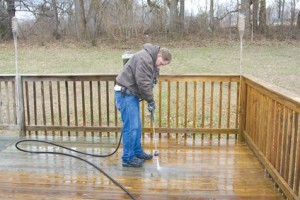 Also, you’ll need to hire someone to do power washing on the deck and other outdoor additions. Many homeowners think of ways to make their homes look better on the inside and out. Pressure washing can help make the exterior look great and create that perfect illusion for family and friends during outdoor activities. 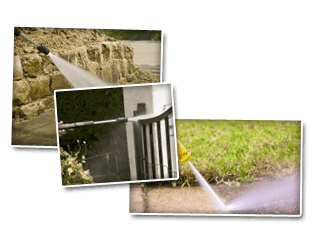 For more details on how to have pressure washing done to your exterior in Charlottesville, simply call Cavalier Window Cleaning & Power Washing and start making your exterior more presentable for the upcoming summer season. If you are looking for Deck Power Washing Services then please call 434-823-1737 or 540-910-1434 or complete our online request form.